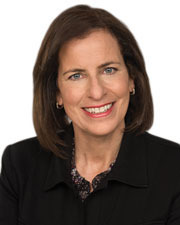 2018 Women in Real Estate and Construction Services: Cathy Hoffman, Atlantic Westchester, Inc.
Company Name: Atlantic Westchester, Inc. 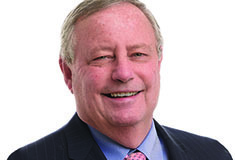 Bud Hammer, president of Atlantic Westchester, is an exceptional leader, mentor and role model. He is honest, fair, extremely personable and a great teacher. Leading by example is the best way to mentor others and that is exactly what Hammer does. At Atlantic Westchester, we are strong believers in the concept of “all in.” As a team, he has taught us the importance of working together, analyzing a situation from all perspectives and always giving 100%. It is great to be a part of a company with such a positive attitude and work ethic. Enjoying sports with my family and friends or walking the beach at the Jersey Shore. Over the years, we have seen an increase in how a building stays connected to its owner and occupants. With the rise in technology and internet of things, we will see an increased interest from building owners, facility managers and technicians in how we manage and monitor all aspects of a building, including its HVAC system, lighting, security/access and fire controls. By proactively analyzing and staying connected to a building, we can make smarter, more cost-effective solutions for the future.